Did you know that Richard M. Nixon was elected to the US presidency in 1968 on a platform that claimed he would end the war on Vietnam? It’s true. And what did Nixon do once he was safely elected? He broke his promise, escalated the war on Vietnam and then went on to bomb Cambodia! “Why did you bomb Cambodia?” the press asked Mr. Nixon.”I bombed Cambodia in order to end the war in Vietnam,” Nixon replied. And did bombing Cambodia end the war on Vietnam? Absolutely! The total outrage engendered throughout Southeast Asia by Nixon’s merciless killing of approximately 150,000 Cambodians drove the Viet Cong and the Khmer Rouge to fight even harder and the local civilian population to support them and to eventually hand America its greatest military defeat ever. Yep, Nixon’s Cambodia bombing campaign DID end the Vietnam war. We’ve definitely got some de-ja Voo happening here. 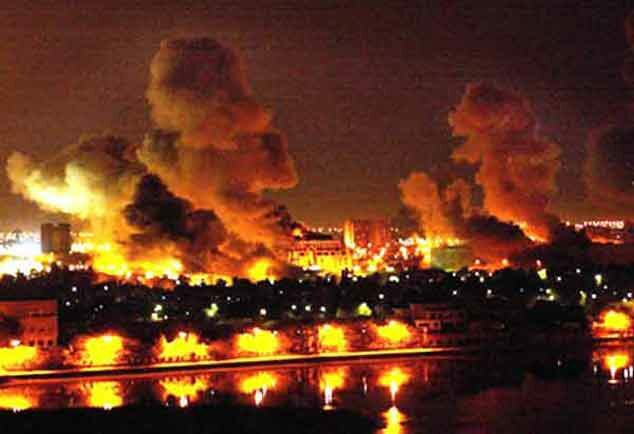 And will the results of Bush’s plans to bomb Iran be the same as the results of Nixon’s plans to bomb Cambodia? Do we really want to risk finding out? Good point – A+ for keepin’ us aware. We used to use the new name – Kampuchea – isn’t it still used there? or was it too associated with the authoritarian regime that murdered 100,000s?